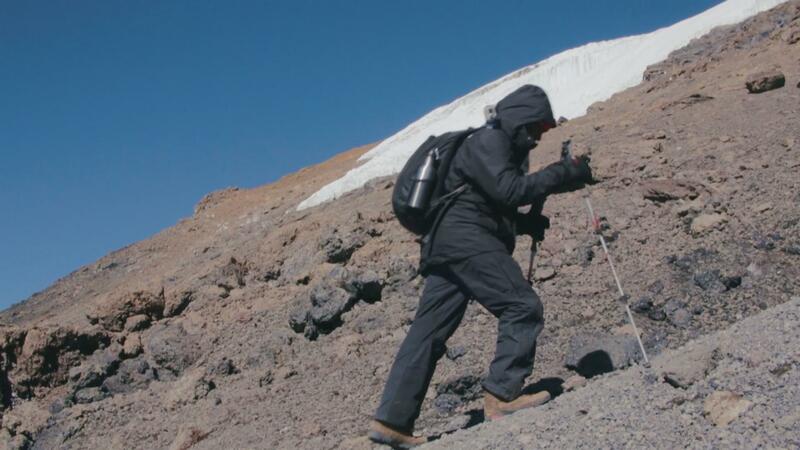 Ramah Nyang, a reporter ascending Mount Kilimanjaro. rising nearly 6km above sea level. mountain in Tanzania. They hope to go through five climatic zones, the mountain forest, the moorland, the stark alpine desert zone, the summit and the arctic zone. die each year in the attempt. you really have to watch the sun. It is just hugely dangerous; the ultra-violet burns people to a crisp. And finally, I always say to people, we can never guarantee you’re going to get to the top of the mountain, sometimes altitude is kind and sometimes it’s not. So ultimately you’ve got to remember, it’s a beautiful, unique mountain, and wherever you get to on it you just have to enjoy yourself,” he said. A group of porters, guides and journalists embarking on a journey up the highest mountain in Africa, Mount Kilimanjaro in Tanzania. the mud is very sticky, making it hard to drive through. The porters and the guides push the vehicle which is heavily loaded with luggage. After a while they break through. unique plants like the impatiens Kilimanjari which is not found anywhere in the world. the mountain in the 1950s. from what we saw at the beginning and now,” he told. He also recounts the times when young training soldiers up the mountain. 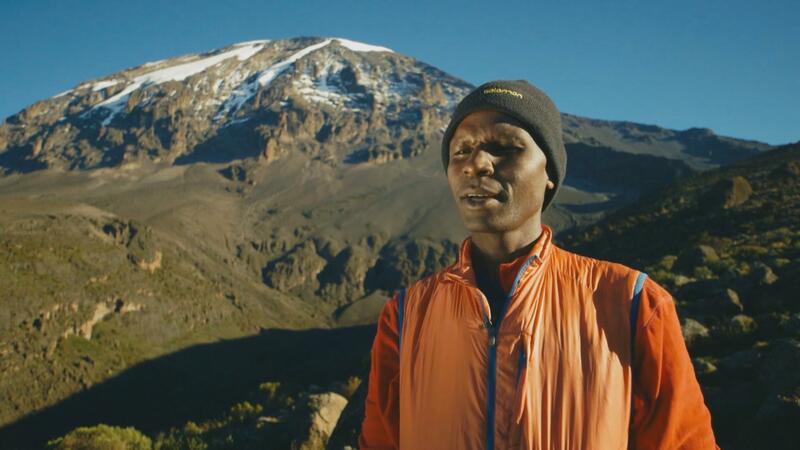 Simon Mtuy, an endurance athlete and guide. 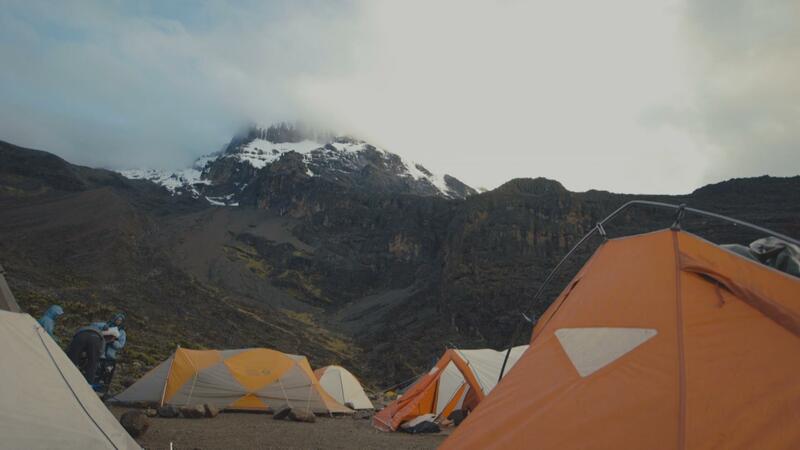 Simon set the world record for the fastest unsupported ascent and descent of Kilimanjaro, a round-trip of 9 hours and 21 minutes to raise awareness about HIV/AIDS. with a film crew tagging along and the mountain hurling some extremely foul weather down at them. mist, about 4600. So by the time we get to Lava Tower we&#39;ll be at that height. But the thing is, as much as this is an interesting achievement we now just have another 2000 to go,” told Ramah. Back on the trail, the cold and quickly changing weather makes for tough going. They crack on and leave behind the imposing wall of rock and ice. It’s a long and punishingly fast descent into camp. 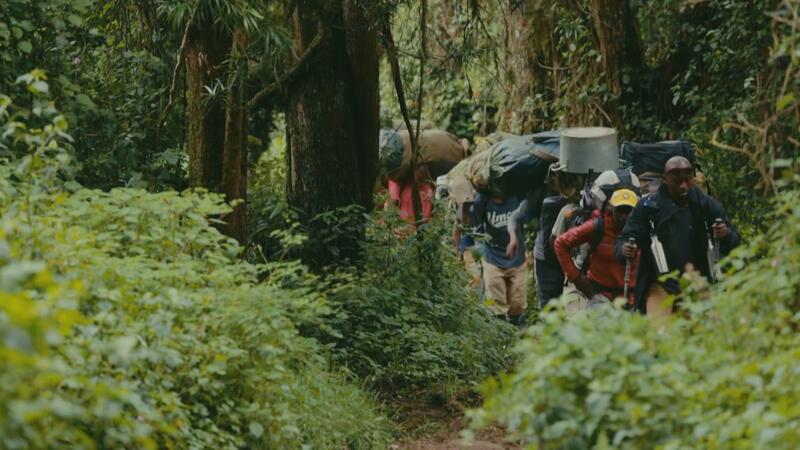 Their new route to the Barranco Camp takes them downhill, and although it’s a race against time, the beauty of the valley they descend through is not lost on them.